It was in 2013 that GolinHarris entered into a JV with IPG entity Lowe Lintas & Partners’ PR unit LinOpinion to form a new entity – LinOpinion GolinHarris (LinOpinion GH). Even as he wears two hats of being ED for Lowe Lintas & Partners and PR agency LinOpinion GH, Ameer Ismail believes that the JV with Golin Harris has brought structural play to the organisation. When it comes to business aspect, Ismail believes that India is going to be a unique play. “I see the business model and evolution of social media services to be quite different from the rest of the world. It has to argue in its own way. Indian clients are more skewed, evolved and budgeted in the sense that they are talking about services that will reach out to marketers and help them market through social media. They are taking the entire model to a different level. We’re in the beginning of that journey,” he said. What fed this need to join hands with a global partner is how the industry is transforming. 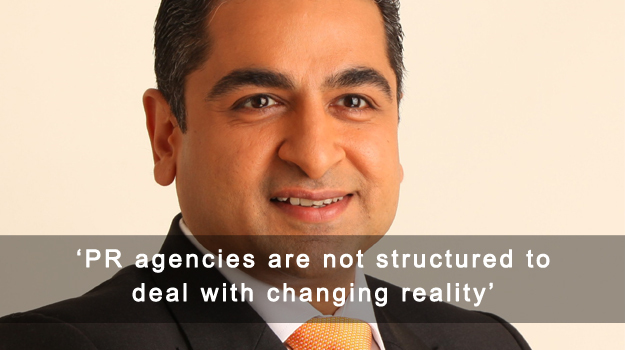 Ismail noted that clients as well as agencies felt the need for change but nobody was doing anything about it. “Golin on the other hand recognised this five years ago and decided to transform their working model to reflect the new reality. They evolved G4, which is a unique model from a PR agency perspective. Within the model, they recognised the importance of seamless transitioning between new media and traditional media. The G4 model brings together a new way of working that if brought together can make PR break the mould. At the core of G4 is The Bridge – social media listening, community management, social media management etc forming the core and that really leads to dynamic ideation within various teams across our offerings,” he explained.